Here’s my take on the best and most popular ways to shop online in Manila and the Philippines, with free shipping, cash on delivery and cheap offers. And a list of the top 10 biggest ecommerce companies and sites. But what’s the biggest, best online shopping site in the Philippines? Click here for Lazada Philippines which is the most popular online store. Looking for affordable shopping online or just cheap, authentic products you’ll likely end up shopping at the 2012 founded, Lazada Online Store. 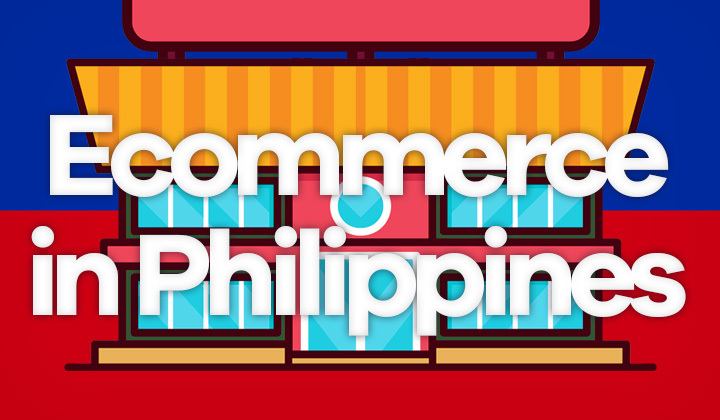 Besides having the biggest stock of products in the country, it hosts a seller portal where Philippine businesses sell through the website to increase price competition. You can even buy items with free nationwide shipping here. The most trusted, popular online shopping website in the Philippines. More than a thousand shopping categories, anything from groceries to clothes and electronic goods such as phones, laptops & gadgets. Biggest online shopping site in the Philippines, with the largest stock of authentic products in their Manila, Laguna and other warehouses. Same day delivery to Metro Manila, Laguna and Cavite for orders placed before 11:00AM. Orders sent after that will be delivered on the next day. They work together with several courier companies for fast and safe shipping throughout the Philippines, including delivery on weekends and holidays. Filipino and English speaking customer care available by phone and live chat. Money back guarantee for returns within 14 calendar days from item delivery. Cash on delivery (COD) payments on top of Credit/Debit cards, PayPal, Installment (BDO) as well as Lazada E-Wallet. In Philippine peso (PHP). Convenient online shopping app for iOS (iPhone, iPad) and Android phones. Lazada store is not intended for international shipping and global shipping from the Philippines. You can only buy items with an address in the country. Alternatively, you may use package forwarding companies to order from outside of the Philippines. But the e-commerce company has no planned support. These are cities in the Philippines for cheap and fastest shipping; Parañaque, Pasig, Valenzuela, General Santos, Bacoor, Makati, San Jose del Monte, Bacolod, Taguig, Zamboanga City, Davao City, Dasmariñas, Cebu City, Antipolo, Cagayan de Oro, Quezon City, Caloocan, Muntinlupa, Manila and Las Piñas. However shipping and delivery is supported nationwide overall. Here is a top 10 list of the most popular ecommerce platforms. The statistics were collected in 2018 and based on the company’s popularity on social media. Lazada Philippines, “Online shopping at best deals & cheap discounts”. Kimstore, “No. 1 shop for gadgets & electronics”. Sneakers Avenue, “Sneakers & shoes for an active lifestyle”. ZALORA, “Best fashion online shopping in the Philippines”. MetroDeal, “Great deals on shopping and activites in the Philippines”. Spotify, “Digital music service for access to millions of songs”. Goods.Ph, “Best prices and deals for gadgets, smartphones and more”. iflix, “Watch TV Shows & Movies online in the Philippines”. Eazy Fashion, “Fashion online retail company”. eBay Philippines, “Buyer/seller and auctioning marketplace and platform”. Dominance of Lazada in Philippines is big. They are the only store able to provide such a range of shopping categories, sellers and deals under one roof. They are pretty much known by all online shoppers in Manila and elsewhere. And they have the biggest nationwide shipping coverage, and fastest delivery options of any online shopping site. Including popular cash on delivery payments. Click here to check out the Philippine online shoppers paradise at Lazada. What do you consider the best ecommerce platform in the Philippines? I’m happy to discuss and answer questions on shopping below. For your information there may be affiliate links placed at various parts of the blog contents in order to support the author and keep the posts rolling. Thank you. Greetings, and kind regards, Tim. This website is NUTS! How do you do a simple Search, in English, to buy something from Lazada Thailand?? !